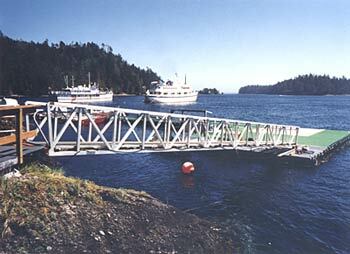 Rampworld.com - Fabricator of aluminum ramps, gangways, walkways, floats, marine equipment, and industrial equipment. Premier fabricators of superior aluminum products. Rampworld.com is a division of Fjord Equipment which was created in 1985 by two men with the skill and innovative spirit to manufacture high quality welded aluminum equipment and marine vessels. 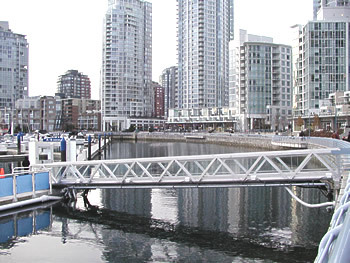 Using high grade marine aluminum, quality craftsmanship and a sound knowledge of engineering principles; we produce long-lasting, durable gangways and ramps. Over the years, our reputation for quality and attention to detail has become well known in many parts of the world. So relax, take a look around, and discover what makes us different from other aluminum fabricators. If you have a project you would like us to provide a quote for, click here. We also produce some of the highest quality and innovative welded aluminum boats. Rampworld.com, a division of Fjord Equipment Ltd.